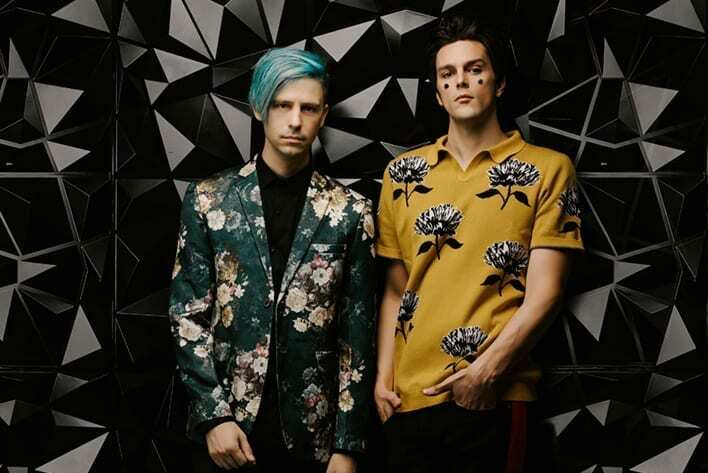 I Don’t Know How But They Found Me, or iDKHOW for short, will soon be coming to entertain Southern California with its quirky, unique and, more importantly, fun music at The Glass House in Pomona Nov. 27. Dallon Weekes, the vocalist and bass player of the band, guarantees every show is different, a self-contained treat. Founded in 2016 in Salt Lake City, iDKHOW is comprised of a mere two people: Weekes, formerly of Panic! at the Disco, and Ryan Seaman, the former drummer and vocalist for Falling in Reverse. Weekes says that the group started shortly before his departure from Panic! at the Disco in 2017. The two friends began iDKHOW in secret in 2016. Both Weekes and Seaman continually denied its existence until 2017. Weekes and Seaman instead opted to go back to square one. The music that iDKHOW typically produces is best described as a mixture of electronic, pop rock and new wave. However, it’s quite hard to truly define and were you to ask Weekes what he’d call such music, even he finds that a challenge. This “hipster nonsense” is merely a reflection of his unique taste in music. One unique aspect of iDKHOW that differentiates them from other bands is their music composition. Weekes, who is in charge of making music for iDKHOW, doesn’t actually write out music whenever he thinks up an idea. In the meantime, Weekes has adapted to taking full advantage of modern technology in making music. “If an idea just strikes me I’ll record it into my phone and then when I have a free moment when the kids are at school or something I’ll go sit down at my laptop and get started making it into a song,” Weekes said. It’s finally being able to play his finished work at live concerts along with Seaman that makes the effort totally worthwhile. 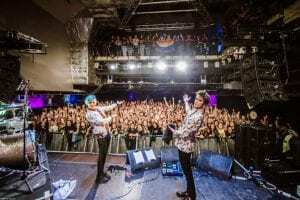 iDKHOW’s current schedule of appearances lasts until Dec. 7. But, not to worry, Weekes promises there will be more “hipster nonsense” to be enjoyed far beyond that.